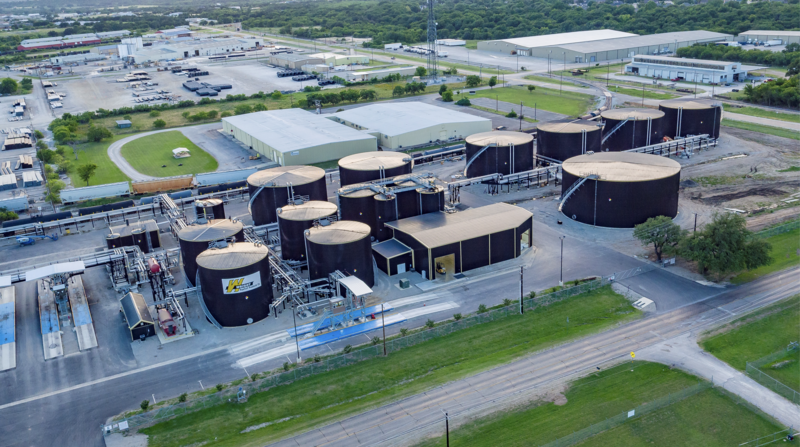 Wright, located on Custer Road, is expanding its plant to add a polymer plant that includes five tanks, an additional building, two new scales, an additional rail spur and an additional tract of land. The estimated capital investment in the expansion is $7.5 million with the addition of six new employees, Andrews said. An earlier agreement between the company and the former Brownwood Economic Development Corp. for a $250,000 incentive that is being paid out over a three-year period. The original agreement under the BEDC was based on Wright Asphalt having six employees with a minimum capital investment of $3 million, Andrews said. The plant currently has nine employees, and Wright Asphalt has made a capital investment of $20.6 million, Andrews said. Wright Asphalt opened in May 2016. The company makes asphalt products processed from recyclable tire rubber. Wright Asphalt has built their business on researching and developing quality materials for pavement maintenance and construction applications. Wright Asphalt specializes in providing asphalt products processed from environmentally-friendly, 100% recyclable tire rubber. Their new Brownwood plant is located on Custer Road.